Masport offers a range of mowers to fit your needs, lifestyle, and budget. Our lawnmowers are feature rich, innovative and truly high performance, helping you to achieve that perfect lawn. Let the mower do the work. These models are fitted with a self drive system. 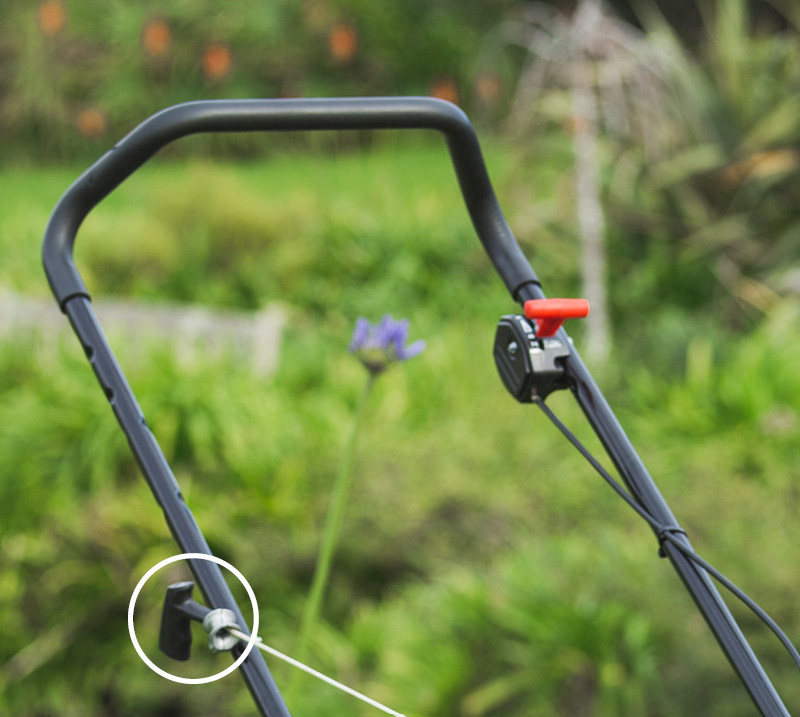 All you need to do is squeeze the self propelled bail to the handle to propel the mower forward. This reduces pushing effort making mowing quicker and easier! Masport and Briggs & Stratton have designed a concept to make storage easier and more efficient. The Masport crafted exclusive handle system folds upright and then back on itself to create a sturdy base. The Briggs & Stratton designed engine tips backwards up to 110° without any fuel or oil leakage and is completely safe. Mow the grass, stow the mower - Save significant shed space! Briggs & Stratton’s InStart™ lithium-ion electric start engines take the guessing game out of starting your lawnmower. No more priming, choking or pulling the rope. The first engine to combine the power of petrol and the starting reliability of lithium-ion battery technology.